KLIM's selection of D3o impact armor incorporates the latest offerings from the intelligent armor leaders. Utilizing non-Newtonian properties, D3o armor maintains a highly flexible nature until met with an increased rate of shear impact. Upon impact, the molecules making up the D3o substrate bind together, forming an impact-absorbing and dispersing layer of coverage. 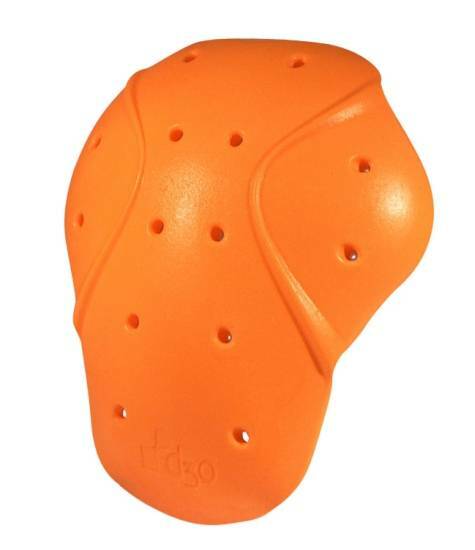 KLIM distributes D3o's T5 Pro series of elbow, knee, shoulder and hip pads as well as the T5 Pro FL01 back piece. Available as replacement and/or optional pieces for the KLIM Adventure Rally, Badlands Pro and Latitude jacket and pants as well as compatible with KLIM's Traverse Jacket and Pant, D3o is an integral part of a high-tech riding system.